Tesla has already brought car shopping to the mall -- now it's coming to the men's department at Nordstrom. This Saturday Tesla will open its first location within another store. A 400-square foot area just off the men's department at the Nordstrom's at The Grove, a high-end mall in Los Angeles, will display a Model X SUV. Nordstrom isn't actually selling the Teslas. The ministore is being staffed with Tesla employees. "We can help you with the suit, but not the car," said Nordstrom spokesman Dan Evans. "We think it's a great partnership. We love bringing great brands into the store, brands people want to see." Many Tesla stores are already located in malls. The automaker says it is looking for opportunities to make car buying more convenient for its customers. 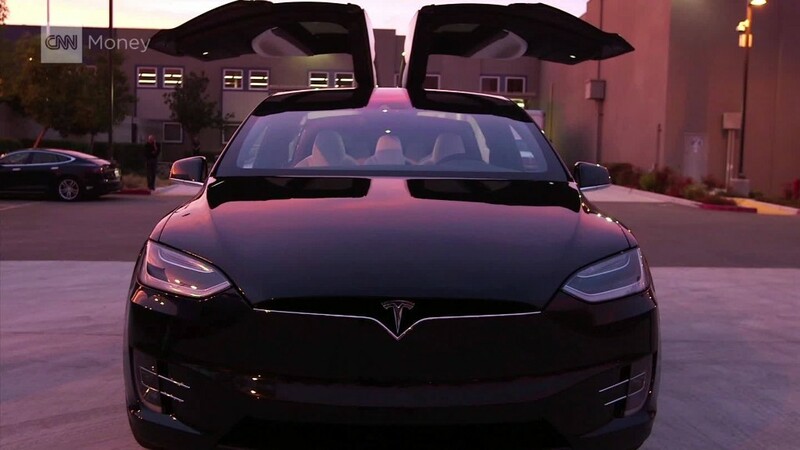 Tesla has battled with car dealership organizations nationwide, who have challenged Tesla's model of selling cars directly to the public, rather than through a network of independent dealerships. Some states have dealerships laws that prevent automakers from selling cars directly.